Sport is renowned for being associated with buzzwords such as communication, leadership, and teamwork. But at the South & East Kent Gymnastics Qualifier yesterday, every stereotype rang true. Kindly hosted by Folkestone Academy, the event was organised by Dover Gym Club as part of their schools engagement programme. The event saw 60 students from 5 different schools compete in both Floor and Vault competitions. All of the schools present were represented on the podium in at least one category, so congratulations to all participants from Sir Roger Manwood’s, Folkestone Academy, Towers School, and the North School. 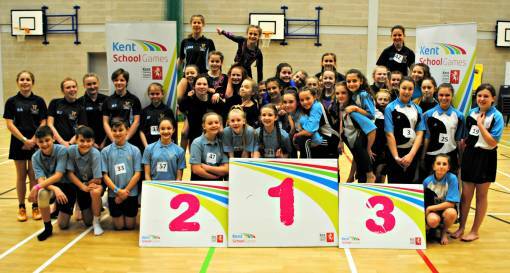 In addition to playing host for the event, Folkestone Academy also provided a number of Sport Leaders to help with judging, as did Dover Gym Club. Despite never having met before the girls all worked really well to put on a smoothly run event which all of the participants enjoyed. Next week attention turns to the second qualifier of the competition. 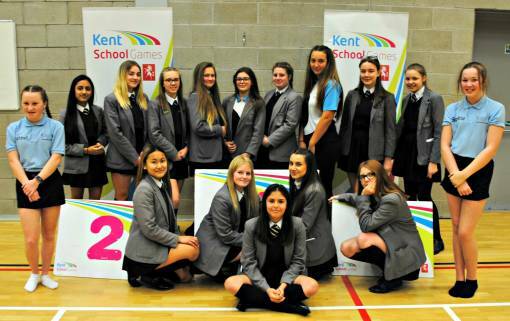 The North & West Kent Qualifier will be hosted by Pegasus Gymnastics Club and is part of the same schools engagement programme operated by Dover Gym Club. One of the county’s longest-running gymnastics club, Dover Gym Club was established back in 1976 and despite its charity status, plays a key role in making gymnastics accessible to people of all ages and backgrounds, as evidenced by competitions such as these. On Tuesday 2nd April 2019 both Hillview and The Judd school completed a Level 1 Assistant Officials Track/Field course, which was delivered by England Athletics.